We won’t blame you if you take a shine to Ario. Its shapely curves and shiny, reflective finish grab attention in any room. The metallic tone is right on trend, too. What’s better than a statement piece? A multi-functional statement piece. Not only does the Ario stool add a decorative element to your seating choice, it also makes a handy side table. 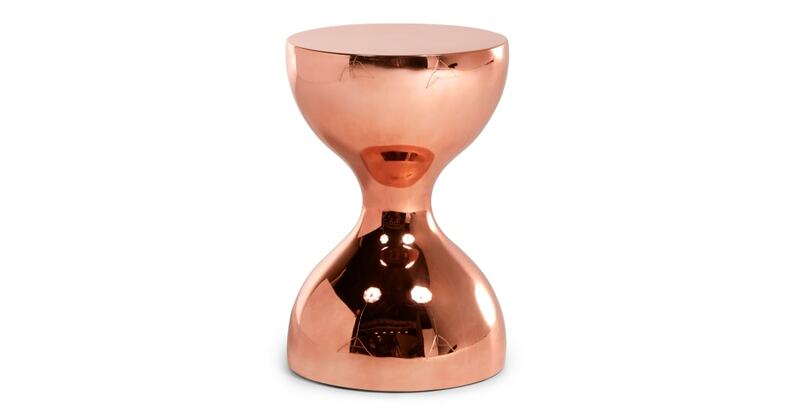 Choose from the rosy glow of copper or make a statement with bold brass. Ario’s choice of two finishes look great mixed or matched.